Martin Ron is ranked among the top 10 most beautiful wall paintings in the world by the art-loving community. For Martin Ron, painting is a way of life, which he used to do at a young age and ten years is a milestone marking the beginning of his career. Martin Ron saw it as an entertaining game with friends, at school or on the street. He felt that the taste of art was amazing, he continued with his passion for drawing without knowing that this helped him to become well known and he would not miss the opportunity to art form. This appears in the cities that are considered famous all over the world. Martin Ron was born in Buenos Aires Province, Argentina, the walls of Tres de Febrero Street were the starting point that made him think hard and help him develop art, for example it could easily be seen as the pictures of Carlos Tevez (Argentine footballer). And after that, he helped many walls in the neighborhoods of Buenos Aires, some other provinces in Argentina as well as in countries such as England, Spain, America and many parts of the world. become beautiful, unique, fresh. In addition, with many creative themes and ideas, Martin Ron has shaped himself a style of expression and a distinct impression of street art spaces in each country. At first, street art – Street Art was used purely as a tool to mark the territory of young groups living in the city or expressing political views, which is gradually changing as a urban beauty and regeneration facilities. 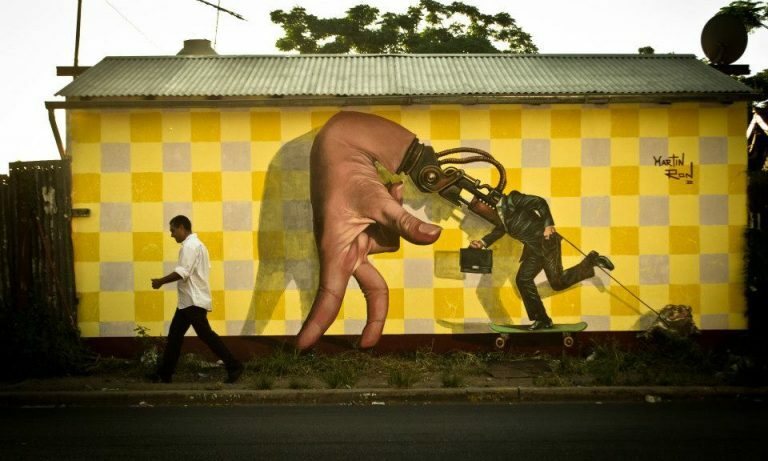 Sometimes, street art – Street Art is also used as a communication or commercial purpose. Street Art is largely believed to have started to explode from New York – USA with its infancy in the 1960s, more mature in the 1970s and since 1980 has grown and strongly differentiated. Street Art is now available all over the world, from big cities to suburban areas with a diverse range of content, performance techniques and genres. 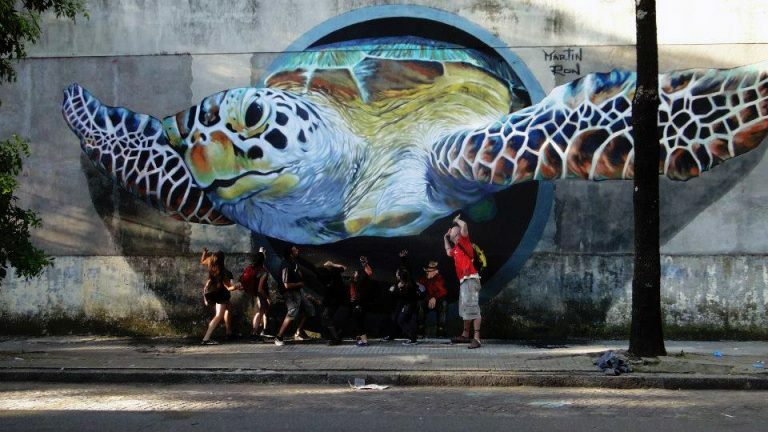 Street artists, through street art works, opting for a way to interact directly with the public, escaping the perceived limit may be confined to the mainstream art world. They are also lovers of traveling across countries and contribute significantly to the expansion of street art – Street Art.